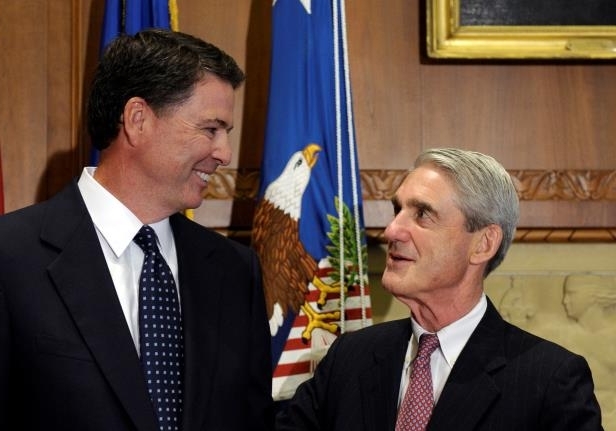 Sacked former FBI director Comey said he (unethically and maybe illegally) leaked information about his private conversations with Trump so a special prosecutor would be appointed to investigate possible ties between his team and Russia – besides what Congress does separately. Special counsel (former FBI director) Robert Mueller expanded the investigation, looking into whether Trump attempted to obstruct justice. After months of FBI investigations, Comey, in congressional testimony, said no evidence suggests it – telling Trump privately he wasn’t under investigation. Now he is, Mueller apparently part of the witch-hunt coup d’etat plot to remove him from office. Law Professor Jonathan Turley explained what’s “most notable” about what’s going on isn’t investigating possible obstruction of justice. DNI Dan Coats, NSA head Mike Rogers, and his former deputy Richard Ledgett agreed to be interviewed by Mueller’s team as part of his investigation. 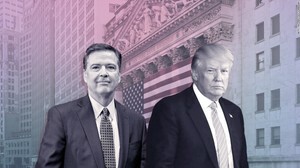 “(t)he FBI leak of information regarding the president is outrageous, inexcusable and illegal” – indisputably true on the first two points, judicial proceedings to rule on the latter if things go this far. Professor Turley (image left) advises White House “strategic thinking rather than simple tactical moves.” Mueller is likely to get answers he seeks from administration officials. If Trump has nothing to hide, likely based on nothing so far suggesting otherwise, administration strategy should feature full cooperation and forthrightness with Mueller. Whatever comes out in his investigation, “the White House should be the vehicle for the disclosure,” Turley stressed. While some information revealed might be negative, “the waving of privilege vis-a-vis Congress would undermine claims of obstruction” – Trump’s top priority to combat efforts to remove him from office. Mueller will likely get whatever information he seeks. It’s in Trump’s interest to disclose it voluntarily. Otherwise it appears he has something to hide, pressuring him more than already. A Mueller spokesman declined to comment on the disclosure, a legitimate cause for concern by Trump and his legal team.